At the Build Conference 2014 Microsoft already announced a lot of new stuff for the whole Microsoft or IT ecosystem. There is absolutely no time to cover all the changes and announcements Microsoft has made in the past 2 days. So I will just focus on the things I care about. 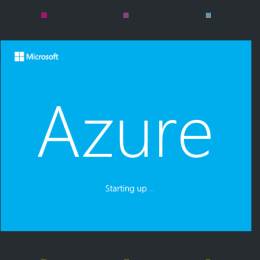 Prior to the Build Conference Microsoft announced that Windows Azure will be renamed to Microsoft Azure. This will show how Microsoft is not only building on top of the Windows platform, they also have opened up for other platforms an solutions a long time ago. One example for that maybe was the announcement of supporting Oracle Software in Microsoft Azure around a year ago. Mark Russinovich announced some great new changes to Microsoft Azure IaaS. You can now capture and deploy images, you can Puppet and Chef as well as PowerShell DSC support, to configure you server environment. An this is great for developers, some of the features will show up directly in Visual Studio. Microsoft also did some work on the Networking site which was really important, for example you can now change the subnet for Virtual Machines. 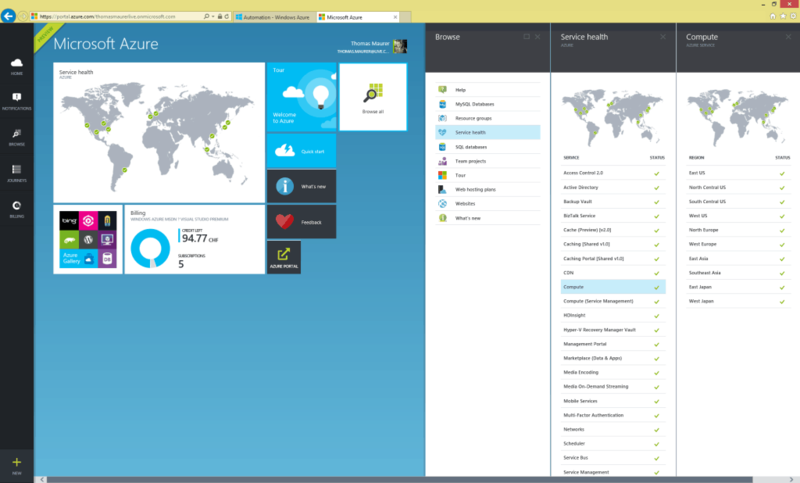 Microsoft also launched a lot of new preview features like Azure Cache and a lot more. 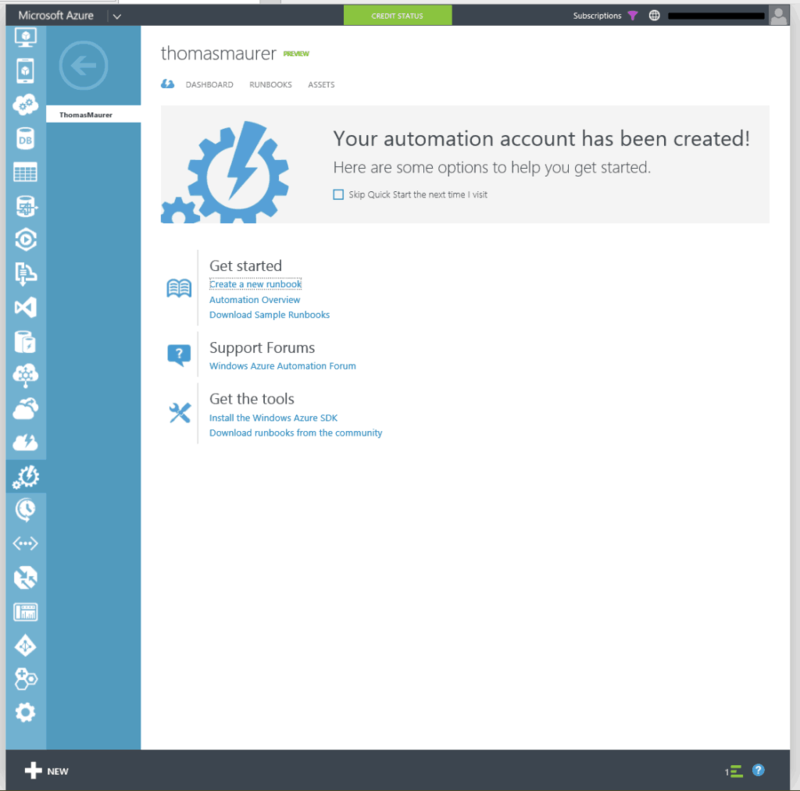 What I love the most is the new Microsoft Azure feature called Azure Automation. Azure Automation allows you to automate the creation, monitoring, deployment, and maintenance of resources in your Azure environment using a highly-available workflow execution engine. Orchestrate time-consuming, error-prone, and frequently repeated tasks against Azure and third party systems to decrease time to value for your cloud operations. This is basically Service Management Automation (SMA), which was released with System Center 2012 R2 as a on premise version, now running up in Microsoft Azure. For those how haven’t heard about SMA, SMA is a new automation engine and Runbooks in Service Management Automation and Microsoft Azure Automation are Windows PowerShell workflows. I am not a developer but I was really impressed what Microsoft did for developers. They are just generating a huge numbers of new opportunities with their new platforms not only in Microsoft Azure using IaaS, mobile Services or PaaS, Microsoft also announced a new concept of Universal Apps which allows developers to write apps which run on Windows Phone, Windows and Xbox One. Some days ago Microsoft also showed the new Kinect v2 hardware which I hope developers will use to write some really cool stuff. 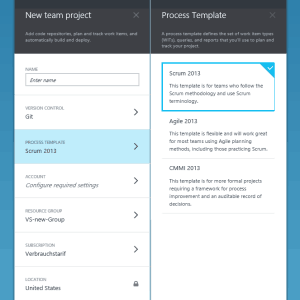 If we have a lot back at Microsoft Azure, what I really liked about the new Portal is the integration of Team Foundation Server or “team projects”. 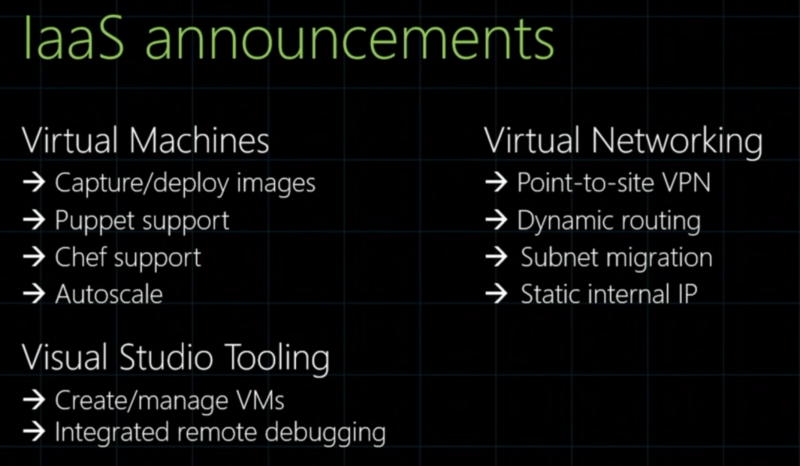 This are just a few of the cool new things Microsoft announced at Build 2014, there is a lot more which is definitely worth to talk about. Some weeks ago I wrote a blog post about that 50% of the Fortune 500 are using Windows Azure, today there are more Windows Azure news. Microsoft and Oracle just announced a significant partnership to bring Java, Oracle Database, and other Oracle software to Microsoft’s Windows Azure platform. As part of this partnership, Oracle will certify and support Oracle software on Windows Server Hyper-V and in Windows Azure. Microsoft will also offer Java, Oracle Database and Oracle WebLogic Server to Windows Azure customers, and Oracle will make Oracle Linux available to Windows Azure customers as part of the Infrastructure as a Service offering. This is another important step for Microsoft to make Windows Azure much more attractive for businesses and developers. 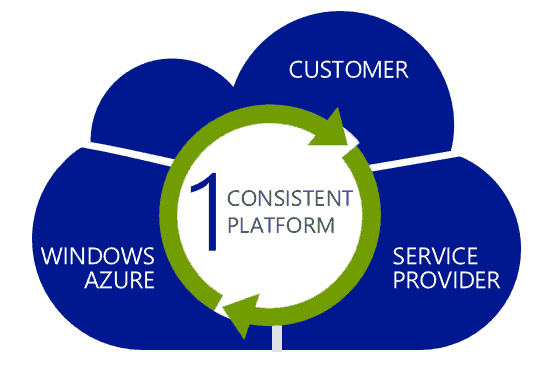 Some days ago I wrote a blog post about the definition of Cloud Computing and of course I mentioned Windows Azure several times. Two days ago Microsoft’s General Manager for Windows Azure, Steven Martin, wrote a blog post which says that now 50 percent of the Fortune 500 companies using Windows Azure. If you think about the volume and size of this company this is a huge achievement. He also mentioned that Gartner predicted that the public cloud service market will grow 18.5% in 2013 but Microsoft’s Windows Azure seems to grown significantly faster. He also mentioned why Windows Azure out performances Gartners prediction. Why is Azure growing so fast? Simply put, we’re delivering what customers are asking for—choice and end-to-end support. We understand the diversity of cloud adoption and the requirements customers have for Hybrid application patterns and deployment scenarios. We also know that customers expect support for the entire stack, not just the infrastructure or the application. So with the IaaS announcement and the other services Microsoft is adding to Windows Azure, like Online Backup and Hyper-V Recovery Manager, the value for a lot of companies will be much higher in the future, and it’s also important to see that Microsoft is the only cloud provider which provides a real end to end solution for customers, partner and hosting providers. 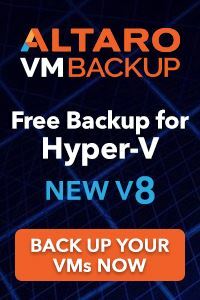 Just think about a world where your services (not just VMs) can be moved between different private clouds, to your favorite hosting provider or scalable around the world with Windows Azure and of course back to your datacenter. Which not also allows you to choose different services but also grow and scale with the speed you need. This is not something which will be available in the future, this is available right now with Microsoft Hyper-V, Windows Server, System Center and Windows Azure. The reason for this blog post was a lecture I had at university where lecturer talked about ERP systems (enterprise resource planning) and a question came up from one of the other students about ERP in the cloud and how Cloud Computing is defined. I am not really happy with the answer he gave, because the answer was totally focused on Software as a Service hosted from a service provider and accessible over the internet. 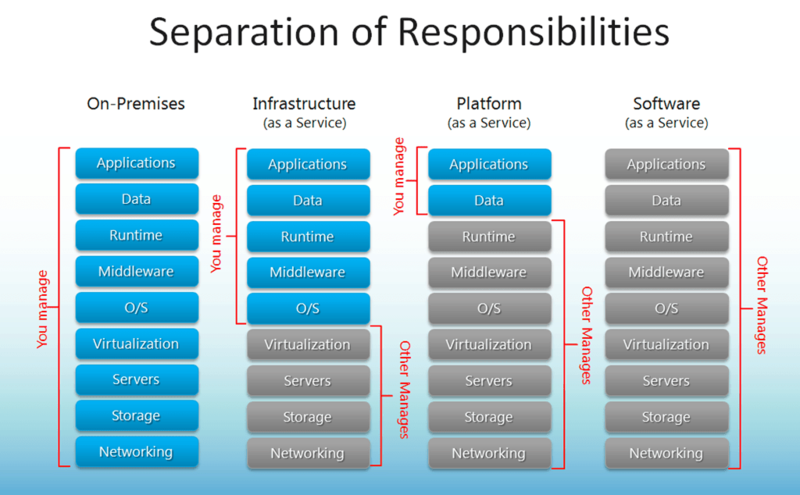 Well this is a part of cloud computing but doesn’t not really cover the real definition. As someone who has worked in the hosting business and now is working as a consultant for mostly building private or hosted private clouds the definition looks really different. One important statement first. 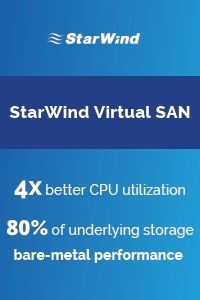 Virtualization is not Cloud Computing, virtualization is a great enhancement for Cloud Computing and is also a important enabler of Cloud computing because without virtualization Cloud Computing could be really hard to do. I my opinion Cloud Computing is not a technology, Cloud Computing is a concept you can use to provide access to resources. 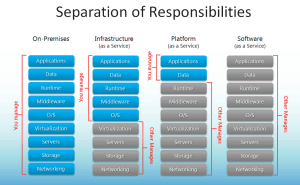 There are three different scenarios in cloud computing. Well another common mistake is to think cloud is always hosted in the internet. Since Cloud Computing is a concept to deliver services, companies can do this also internally which is mostly known as Private Cloud. The Private Cloud can of course also be IaaS, PaaS or SaaS and could be accessible from the internet, but it could also only be available company internal. Public Cloud – The Public Cloud is maybe the Cloud people think of mostly when they are talking about Cloud Computing. This is mostly shared services hosted from a services provider which is accessible from the internet. Private Cloud – The Private Cloud is a Cloud made for a just one customer or company for example this could be an on premise Cloud hosted in my own datacenter. 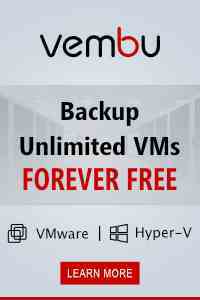 In some cases the Private Cloud could also be hosted from a services provider. Hybrid Cloud – The Hybrid Cloud model will be the model a lot of companies will go for, or already did even without knowing about it. The Hybrid Cloud is a scenario where I have a Private Cloud hosted on premise in my datacenter but I also extend my Cloud to the Public Cloud by connecting cloud services such as Windows Azure or Office 365 to my Private Cloud. Cloud computing – correctly: a Computing Cloud – is a colloquial expression used to describe a variety of different computing concepts that involve a large number of computers that are connected through a real-time communication network (typically the Internet). Cloud Computing is a jargon term without a commonly accepted non-ambiguous scientific or technical definition. In science Cloud computing is a synonym for distributed computing over a network and means the ability to run a program on many connected computers at the same time. The popularity of the term Cloud computing can be attributed to its use in marketing to sell hosted services in the sense of Application Service Provisioning that run Client server software on a remote location. So with this definition there are five common properties every Cloud has, doesn’t matter if it’s IaaS, PaaS or SaaS based or hosted in the Private or Public Cloud. Elastic and Scalable – I think this is one of the overall parts of a cloud. It’s important to be very flexible to get new resources if your business grows over time or has some special peaks where you need more resources. Resources could be more compute power, more virtual machines, more users, or more mailboxes. Pooled Compute Resources – From a cloud provider perspective I want to pool my compute, storage and network resources and share them for different customers or services. Provides Self-Service Provisioning – To request new resources (virtual machines, Mailboxes or whatever) over a self-service portal which automatically kicks of the specific tasks. Highly Automated Management – Because we want to use Self-Services provisioning and doing this in large scales, it’s important that the environment is highly automated. 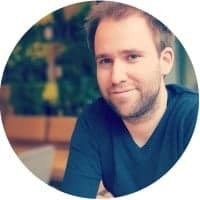 If you think about a simple example: A new employee starts at your company and you want to create a new mailbox for him, you can create a it over a self-services portal. The creation of the mailbox has to me automated in the background because you don’t want to wait for someone to create the mailbox manually maybe two days later. Usage-Based Chargeback – Trough the pooled resource you want to be able to do chargeback based on consumed resources. Even if you do another billing system you still want to know how much resources customers have used. This could be how many mailboxes did I use last month, how many minutes my virtual machines was running this month, or much disk space did I use. I think this 5 things do cover the properties of Cloud Computing in basically all the common scenarios. This there are a lot of things I did not cover in my blog post but it should help people which are new to cloud computing help to understand the different scenarios.